Community engagement is key part of this project. That’s why we’ve added some community consultation opportunities earlier in the process to capture your feedback and keep you informed. 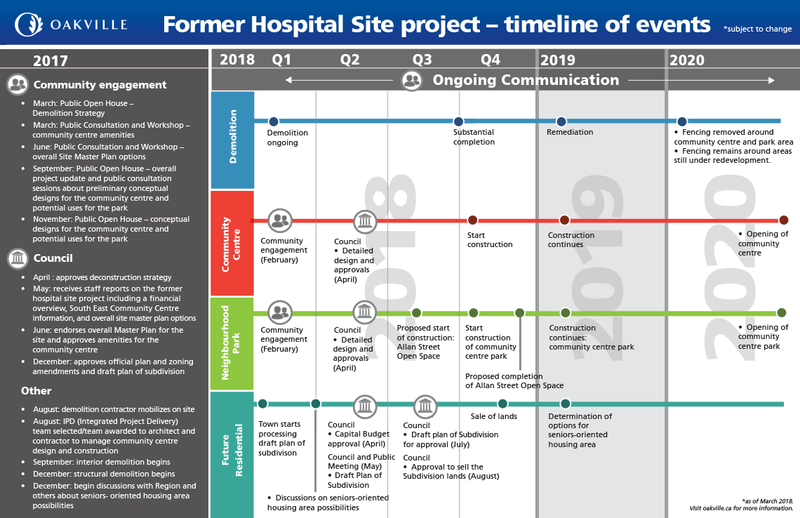 Please review the former hospital site project timeline (pdf). Note that this information is accurate as of March, 2018.